6 Candid Wedding Photographers in Kolkata Who Capture Those Magical Moments Perfectly! Do you really need a candid wedding photographer? Wouldn’t it be wonderful to have a wedding album or a wedding video that is not just a mere reminiscence of your wedding day, but a beautiful series of captures that tell a story? From the unfathomable emotions you go through before your wedding with your partner, the sentiments that are shared with your family throughout the pre-wedding celebrations to you walking under a phoolon ki chaddar down the aisle, some insanely gorgeous moments take place which often go unnoticed. These flashes are creatively captured by the sharp eyes of candid wedding photographers. Take a look at these fantastic candid wedding photographers in Kolkata that create sheer magic with every click! Their work is astonishingly mind-blowing! Drool through their portfolio, catch great ideas and pick your photographer. Having Anirban Brahma Photography shoot your wedding is a very special experience. You relax being totally yourself as they discover you and your joyous family with their camera. Those blissful moments get frozen into beautiful frames forever. They are a boutique studio and only take in a limited number of weddings and portrait sessions each year, so that they can individually devote as much time as possible on creating great artwork from your special day for you. They work one on one with you to transform each moment into an extraordinary memory that will last a lifetime. Their products are carefully sourced, they have the finest albums from some of the best manufacturers around, and so it gives them great joy when you tell them that you immediately get a smile on your face when your guests are in awe of the beautifully crafted albums you share with them when they come over. VS Studio based in Kokata, West Bengal is a team of visual artisans capturing moments in a beautiful picture. The company founded in 2015 already has been creating memories for their clients. They are well known for weddings and pre wedding shoots. If you are looking for a photographer for your big day then they should definitely be on your list. 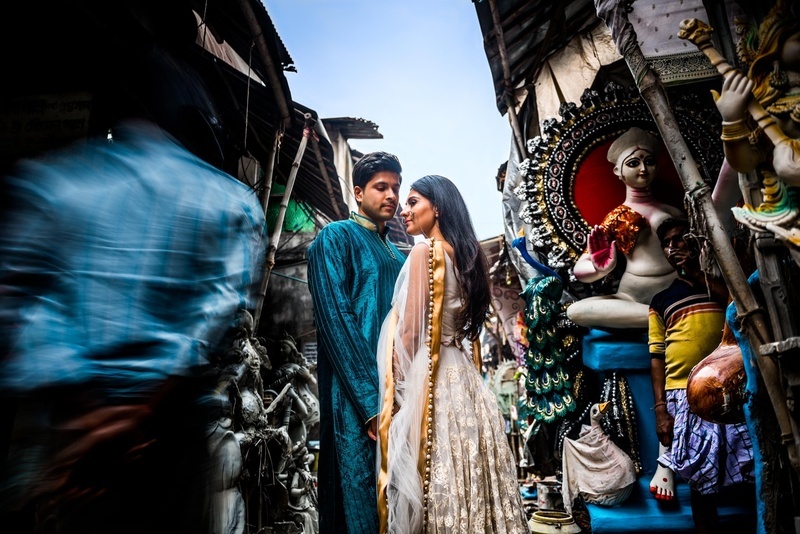 Candid Affair based in Kolkata, West Bengal is a team of talented young professional photographers led by Aditya and Nilarun, with an addiction to creativity and years of experience in creating everlasting memories. They believe in capturing the best moments of your wedding as they happen, without interference or manipulation. Each moment is as candid as can be and the ecstatic look on the couple’s face when they finally present their pictures is priceless! This is what motivates them to do what they do. So don’t think twice, have a Candid Affair with them. Partha Sarathi Photography is one of the best photographers you can find in Kolkata, West Bengal. Partha brings in his own expertise in conceptualising, styling and storytelling in each and every shoot as he believes that every story has its own essence which needs to be told in an aesthetic, casual, yet understated manner. Photographians based in Kolkata, India works nationally and Internationally for a diverse range of clients, from individuals to wedding planners, from low budget to super high budget weddings. As long the wedding is interesting, as long as there is freshness in the story, Photographians is ready to travel to the farthest part of world to capture it in their signature style. Check out more talented candid wedding photographers in Kolkata here.